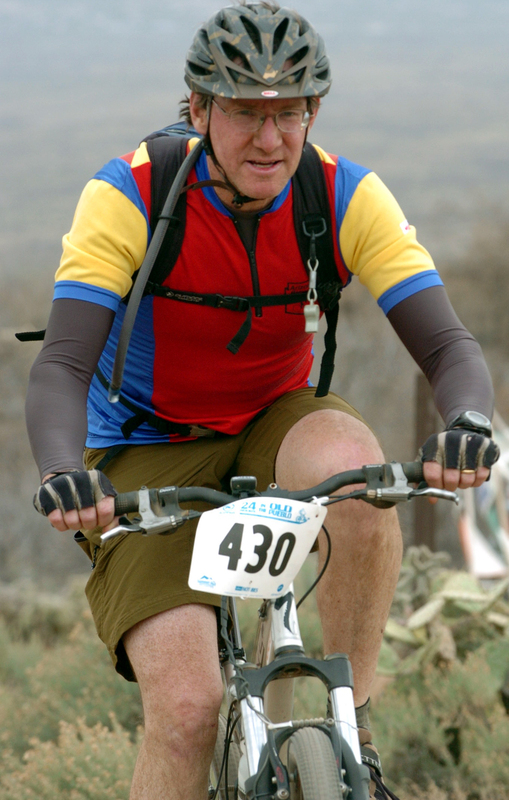 Posted by Dave Of Prescott in extreme sports, Mountain Biking. I just ran across a really great tutorial article in Bike Magazine Online about five ways to improve your cornering. It can help every level of rider, whether it is a refresher for a very experienced rider, or some super helpful info for beginners. Hopefully we can all glean something that will improve our riding! On Sunday, Tom and I drove our vehicles down to the Gloriana Mine trail head of the Black Canyon Trail that is near the Bumble Bee road exit on I-17. I put my bike behind his on this bike rack, loaded my gear into his Supra, and we headed back up to the Old Sycamore trail head where we would start our ride. When we parked up on Old Sycamore and started to unload our bikes, Tom noticed his front tire was flat, in fact it was more than just flat, it had melted! The way his bike was sitting on the rack, it was too close to his exhaust pipe, and during the trip up the hill from Bumble Bee Road, he had unintentionally vulcanized the side of his nearly new (and expensive) tire. There was smiley faced shaped hole in it and his tube had popped. What to do? Do we cancel the ride and drive back down to get my truck? Do we drive into Prescott Valley and see if he can buy a new tire? NO! We try to figure out a way to repair it. 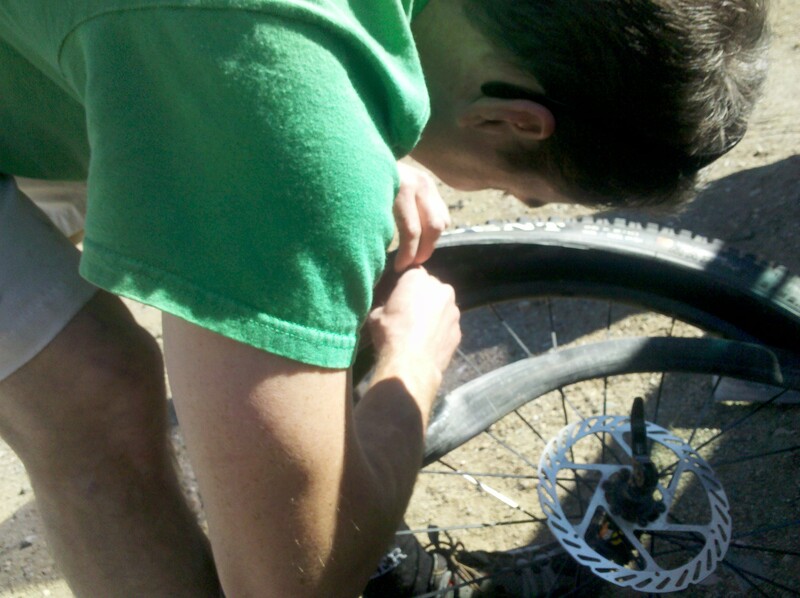 Tom put a section of his old tube around his spare tube and then sleeved the tire with a dollar bill. He pumped it up and it appeared like it was holding. A few pedals around the parking area and a couple of bunny hops and it was still holding, so it should hold for a 25 mile ride through rocks and cactus right???? What the heck, we were up for an adventure. It was ugly, and we had no idea if it would hold, but we bold set out where no melted tire had gone before! The ride itself was outstanding. The weather was perfect, and the trail was not muddy at all. We stopped where the BCT crosses the road near Cordes Ranch to take a look at the repair and it appeared to be holding just fine. The next section of the BCT down to the Hidden Treasure Mine trail head is one of my favorite sections because of the way the trail meanders down the sides of the narrow Antelope Creek Canyon. The thin, loose granite trail with the super steep and rocky exposure demands concentration, as there is a big penalty for failure. We stopped for a snack and to check the tire again at the Hidden Treasure Mine trailhead. So far so good. We then headed out onto the really fun section of the BCT that climbs up and over some foothills on the way to the bridge near the town of Bumble Bee. Here we were, 20 miles into a ride on a very popular trail, on a perfect Sunday afternoon, and we hadn’t seen a soul. Crazy. We started the short but punishing half mile climb up the jeep road, knowing that the truck was only 5 miles away now. At the top of the jeep road we stopped to check the tire, and to talk about the very different trail types we had already been on, and what was yet to come. I agreed with Tom that the next 4.5 miles of the BCT were probably the most technical miles on the entire 65 mile length of the the trail. As we rode along this section, the shadows grew long and my legs were telling me they needed to be done soon. With about a mile to go, we caught up with two other Prescottonians, Billy and Christi who were doing an out and back from the Gloriana Mine trail head. After we went by them, we were like horses running to the barn. We pounded out that last mile as if it were our first, anticipating putting the bikes away and having a nice cold beer. When we rolled up to the truck, neither of us could believe that the repair job on that melted-open tire had made it through 25 miles of rough terrain. It was and adventure all right, and it turned out better than we could have hoped. 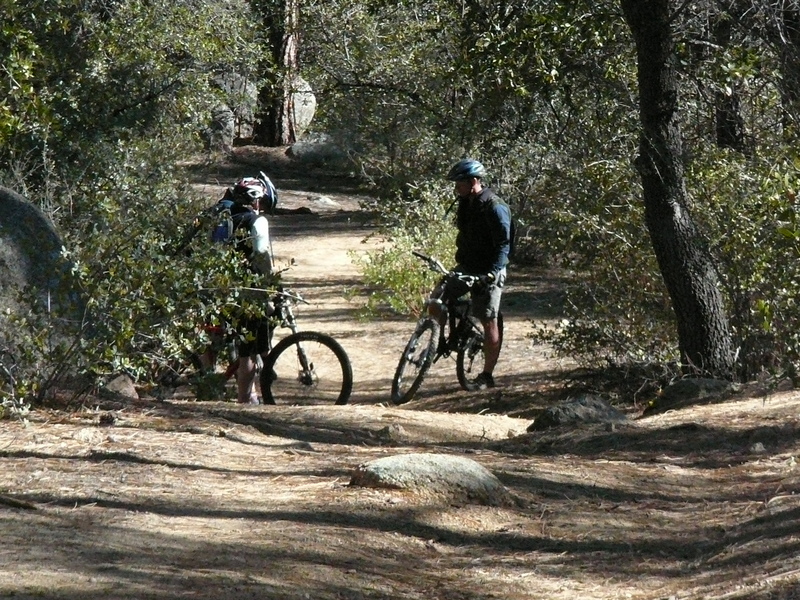 Posted by Dave Of Prescott in Day Hiking, Just Stuff, Mountain Biking, orienteering. One of the biggest thrills I get from my job is taking people to places that they would normally never see, and seeing their face light up from the experience. My second favorite thrill is when I see that someone is hooked, whether it be on mountain biking (like this great story), hiking, orienteering, adventure racing, or climbing. To turn someone onto something that will perhaps change their life for the better is really, really cool. Regarding the story that I linked to above; I do not know this girl at all, but her story is all too familiar to me…..and I love it! 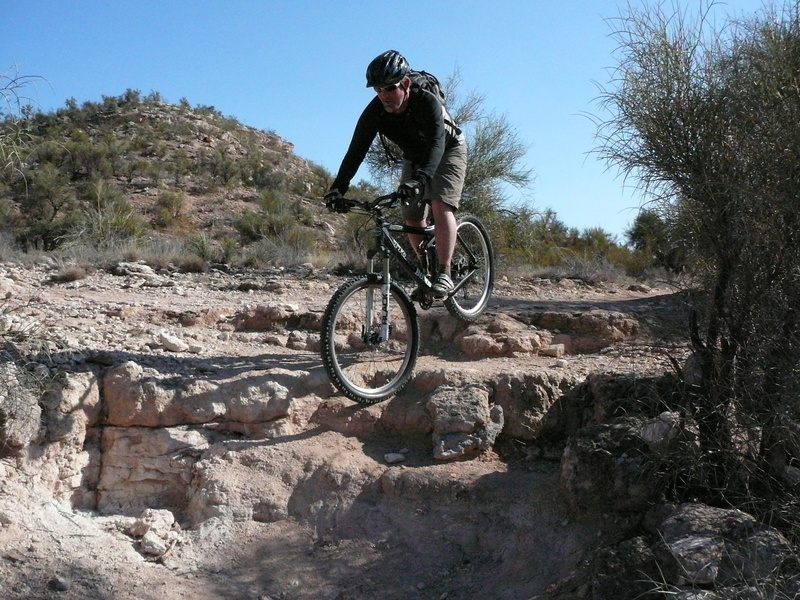 Posted by Dave Of Prescott in Just Stuff, Mountain Biking, trails. 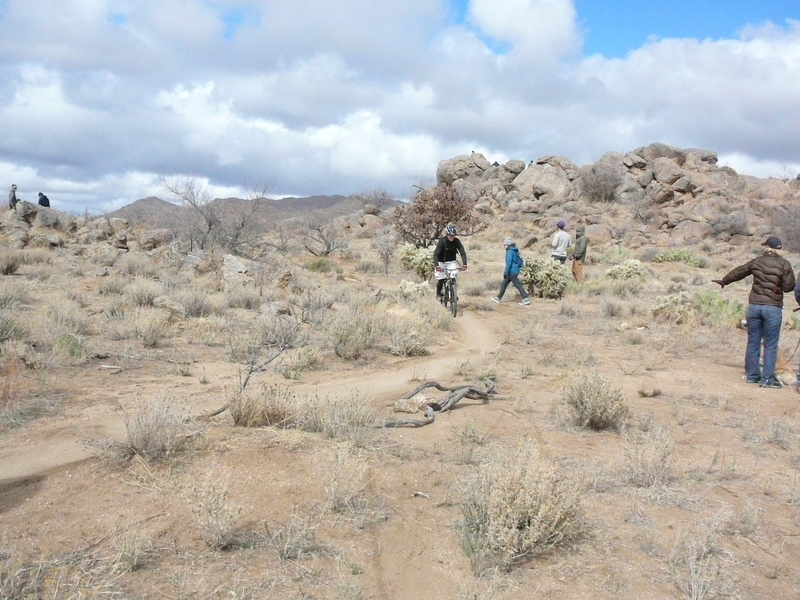 This morning the Prescott Mountain Bike Alliance had a group ride out in Granite Basin. Part of the event was a pow wow of sorts with representatives from a local equestrian club. The horse folks made a presentation about how horses perceive bikes and other things and then what we as bikers can do when we come upon horses on the trail. Trail etiquette 101. They told us that horses know we are coming toward them long before their riders do, and that when we see horses while mountain biking, we should call out (no bells, or horns) to them, and ask them if we need to get off our bikes. They know their horses, and will instruct us on what to do. Some horses are used to bikes and the horses will just step off the trail and their rider will instruct us to just ride on by (slowly). Others will ask us to dismount and walk by. And there are others that will ask us to dismount, step off the trail with our bikes and let the horses go by us. When we do step off the trail, they ask that we stay in the open (not behind trees or bushes) so the horse can see us. Horses view things that they are not used to as predators, and so it is important to continue talking in a normal voice so the horse knows that we are human. There are those people out there that want to stir up controversy and try to make it seem that equestrians and mountain bikers are adversarial, but that is just not true for 99% of us. We recognize that these trails on public lands are for all of us and we do what we can to make any interaction as pleasant and smooth as possible. The equestrians that spoke to us brought up two things that we hear mountain bikers complain about a lot. Piles of horse manure in the trail, and horses riding on muddy trails and tearing them up. I for one was glad that they brought this up and it didn’t have to come from on of the bikers there. The horse folks said that they should be moving the manure off the trail, and added that experienced equestrians do not ride when the trails are muddy. The answer was yes, that if they are planning on having their horse in an area where it could come across hikers, dogs, or bikers, the owner themselves should take the time to acclimatize their animal to these possibilities. However many do not. There have been many cases of bikers being yelled at by people on horses, saying things like, “Stop, my horse is afraid of bikes! Or event telling us that we do not belong on the trails. It was nice to hear that these leaders of the horse community agree that through joint awareness with bikers and hikers, and all three groups taking the time to prepare for the eventual on trail encounter, we can and will make taking to the trails a fun and enjoyable experience for all of us. After the meetup, we went on an 11 mile ride down the Mint Wash Trail 345 to the junction with the 308, where we turned around and backtracked then took the 347 back up to complete our loop. On the way, we encountered horses on 3 occasions, and in all 3 the horses stepped off the trail and waved us by. Perfect! Here is a quick look at results from the 3rd annual Go! Off Road Duathlon. Full results with all the split times to follow in the next couple of days. We left Prescott as five individuals who were going to ride in the 5 person co-ed 200+ division at the Kona 24 Hours in the Old Pueblo mountain bike race. By late Friday, we had all made it safely to the desert north of Tucson where the 24 HITOP is held. Some of us had been there a day already and had pre-ridden the course a couple of times. It seemed pretty tame compared to what we ride in the Prescott area on any given weekend. Friday we sat around our campfire, visiting and contemplating what the next day would bring. None of us had ever been to the 24 HITOP before, and we really didn’t know what to expect. As the sun fell toward the horizon, we had the opportunity to see an amazing Arizona sunset. Word spread through the temporary 24 Hour Town like the wildfire that appeared to in the western sky. People ran for their cameras and stood on their cars, trailers and motorhomes to try and get the perfect sunset photo. I picked up my bike and held it up while Steve snapped this photo. As the sun continued to dip, the sky turned the color of a blacksmith’s forge. Then Scott held his Yeti skyward for one of the coolest photos I have seen. What an awesome way to start our weekend adventure. Saturday morning we were treated to Omelets prepared by Karen who had come down to just hang out with us and take some photos. She is also an amazing camp cook! We went down to the expo area and visited with other Prescott riders that were there throughout the morning. After the pre-race meeting, Robert prepared for taking the first lap for our team. This race begins with a quarter-mile LeMans style start where the first lap riders run that 4oo meters, then mount their bike and ride the first lap. It is literally a stampede of 800+ bikers trying to find their bike and somehow weave through the chute filled with other biker attempting to do the same thing. After the wild start, the rest of us went down to the spot on a trail called His ‘n Hers where the race course comes closest to the 24 Hour Town. Here we cheered on the first riders to arrive, counting them as they went past until at number 146 we saw Robert coming around the corner. We yelled like crazy for the 2 or 3 seconds that it took him to approach us, go by, and then disappear around another corner. I forgot to mention that at the start of the race, the wind was blowing at 25-30 mph, with gusts to 40+ (crazy!). I hurried back to get ready to take lap number 2 for out team. I felt good, and was riding well, when shortly after the turn onto Rattlesnake Trail, riders were being flagged down and asked to walk our bikes past a rider being worked on by EMS. I wasn’t sure what had happened, but I did see what was left of a large cholla cactus scattered about as if it had been blown up. 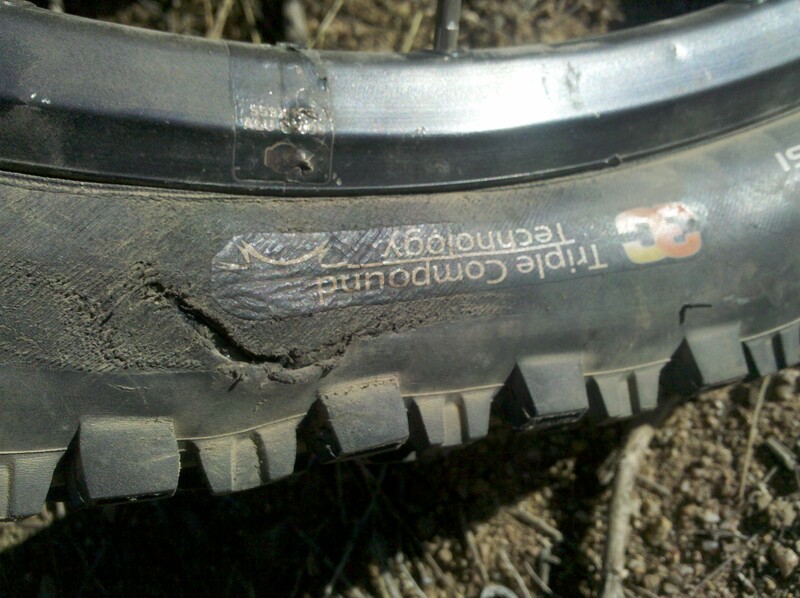 Note to self: stay on the trail! It felt like the wind was picking up, and as I rode across the dam of a cattle tank, I saw a girl get blown off her bike, then as she tried to walk the bike, it was being blown into her and she could hardly hold onto it. The guy in front of my looked like he and his bike were leaning at a 45 degree angle just to hold a straight line! About 12 miles into that first lap, I realized that I was riding really hard, and I thought back to standing there in the on deck area of the exchange tent telling myself it was going to be a long 24 hours and to just take it easy. That plan was out the window, and I knew I would suffer on later laps because of it. Dang. When I came into the exchange tent, there was Steve, ready to go. One thing I thought we did really well throughout the entire event, was we just kept moving forward. There weren’t any missed exchanges where the next rider was sleeping, and none of us had any mechanical issues or flat tires. While Steve was out on his lap, we felt the air temperature suddenly drop about 15 degrees, and the forecast said that rain was on the way within the hour. 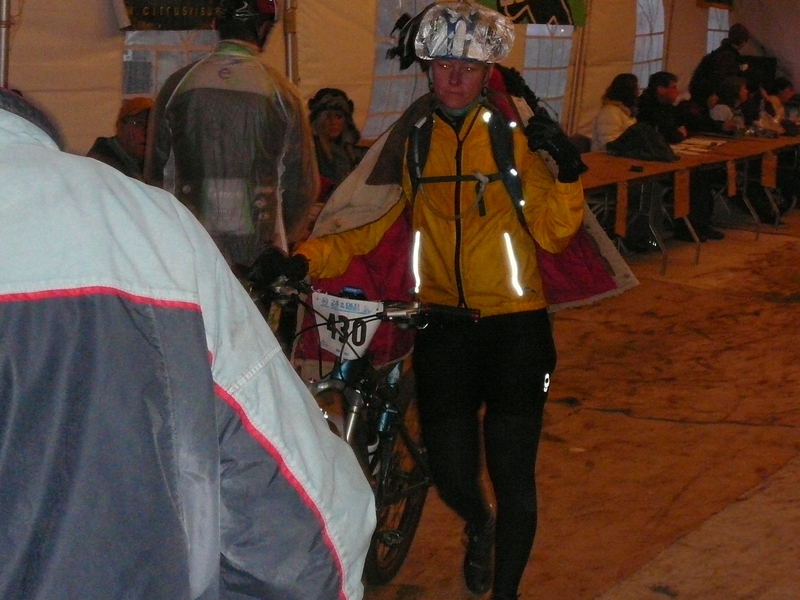 So when Jeanette geared up for our 4th team lap, she was ready for whatever might be coming. She ended up being out there for the beginning of the coming rain. Evidently it rained lightly on her toward the end of her lap, and as she passed the baton to Michael at about 6:20pm, the rain was falling. Michael’s lap had it all. He rode in 20mph winds with rain falling sideways and about 15 minutes into his lap, the sun was gone. While we were huddled in tents and trailers for the next hour and a half, Michael pushed on. He returned from his lap in amazingly good spirits, with stories of how fantastic the cacti looked in his lights with each drop of water on every little needle reflecting the light. We were feeling good as a team as Michael finished his lap and Robert began his second lap. The rain appeared to be almost over, and we had all successfully completed our first lap of the 16.1 mile race course. 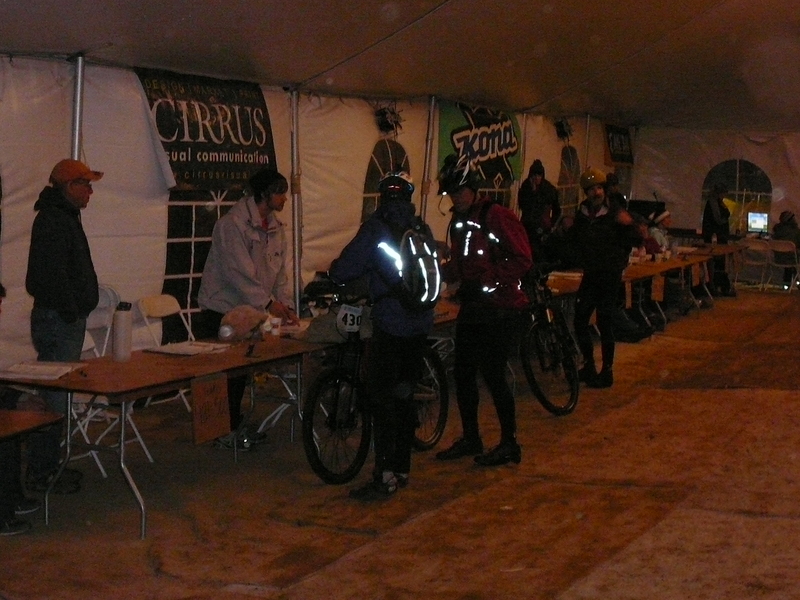 The rain DID stop, and we continued to ride through the night without any problems. There were lots of riders out there changing tires and patching tubes, but thankfully, we were not among those with mechanical issues. 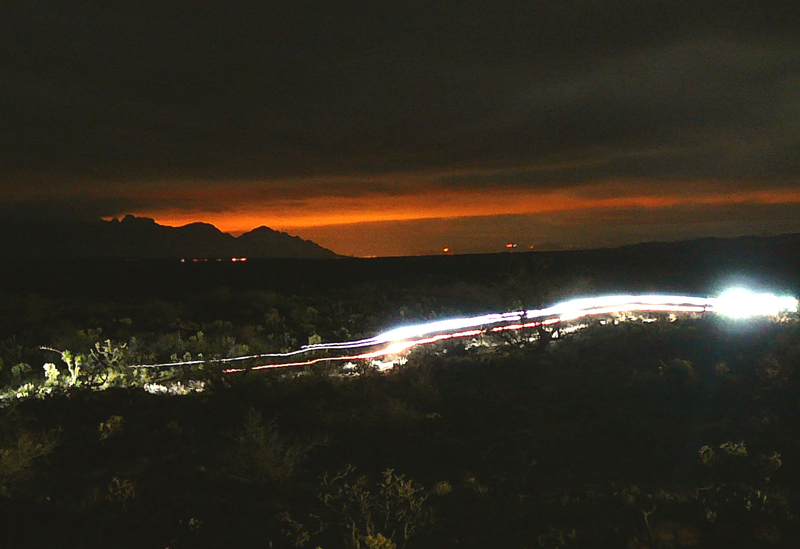 During Jeanette’s second lap, somewhere around midnight, I took this photo of riders lights coming along His ‘n Hers Trail. Look at the glow of the lights of Tucson on the low clouds in the background. One thing we all noticed and were really appreciative of, was how courteous and friendly 99.9% of the riders were. Around 6am as I was coaxing my bike up the climb of the High Point Trail, a very fast girl wearing a KHS Cycles jersey went by me like I was standing still, but as she did, she took the time to offer words of encouragement, “Keep going, you are almost done!”, she said as she disappeared into the gray of the early morning. Micheal had the last lap for our team as noon approached on Sunday, and the rest of us walked over to the spot where the trail comes back down toward the transition tent to meet him. As he came around the corner toward us, he spotted Jeanette waving to him, and tired as he was, he gave a big satisfied smile. We had completed 15 laps, 3 each to finish 13th of 46 teams in our division that started on Saturday. At any of various points throughout the race, we had all been the Half that our team name mentions. The other 4 were always there to offer a smile, a joke, and words of encouragement. This was a bonding experience for us. 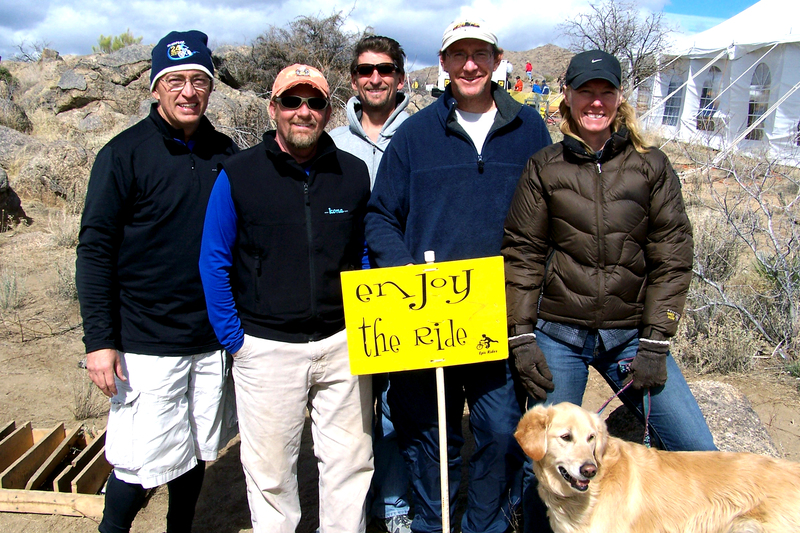 We became a team at the 24 Hours in the Old Pueblo. 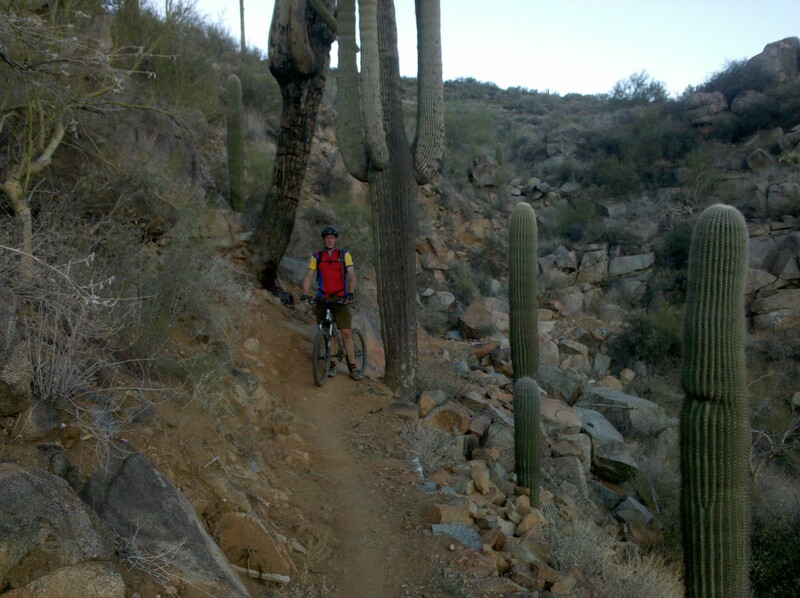 Posted by Dave Of Prescott in Mountain Biking, trails. I had the opportunity to ride and track the Rim View Trail that circles around most of the town of Page, AZ this weekend, and was not disappointed. 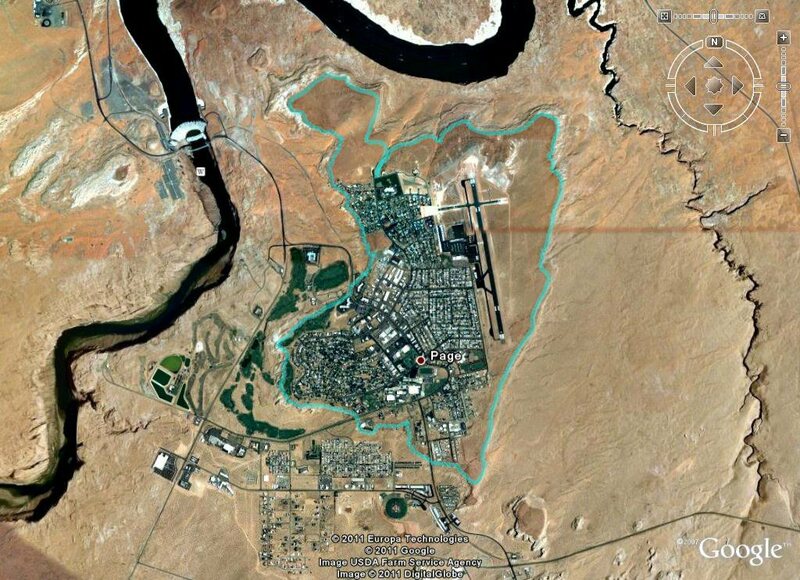 The town itself sits on top of a mesa overlooking Lake Powell, and the Glen Canyon Dam. The trail, true to its name follows the rim of the mesa, offering fantastic views at every turn. This trail is a fun, slightly technical, single track about 11 miles in length. I say about, because there are several areas where you can choose to take a spur of the trail that either goes closer to the edge of the mesa, or away from the edge, with less exposure to huge drop offs. There are many places on this trail where the penalty for falling is certain death. I rode it both directions, and would suggest counterclockwise as the best way, just because of the long downhill on the east side of the airport. Both ways are great though. If I lived in Page, I would ride this trail every day! 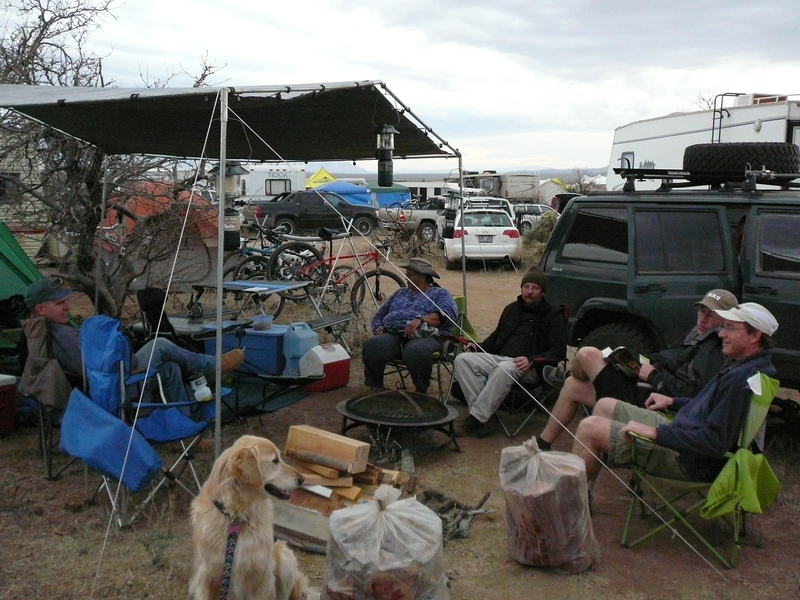 Posted by Dave Of Prescott in Adventure Recreation, equipment, Events, Just Stuff, Mountain Biking. We are very happy to announce that Ergon is on board with us as a sponsor for the upcoming 12 Hours At Night endurance mountain bike ride. Bike ergonomics is an extremely complicated endeavor and requires knowledge across different disciplines. The development team at Ergon is made up of specialists in various areas; there are bike experts, racers, sports scientists, ergonomics experts, engineers and industrial designers. Check out the Ergon blog too. Get ready mountain bikers, because here comes a firestorm! 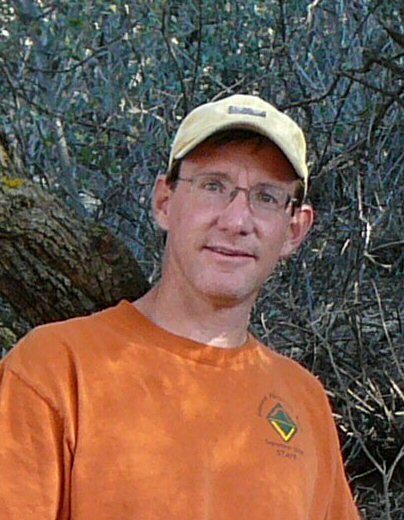 In Montana, mountain bikers just lost some fantastic biking to a lawsuit brought about by hikers. Here is the whole story. 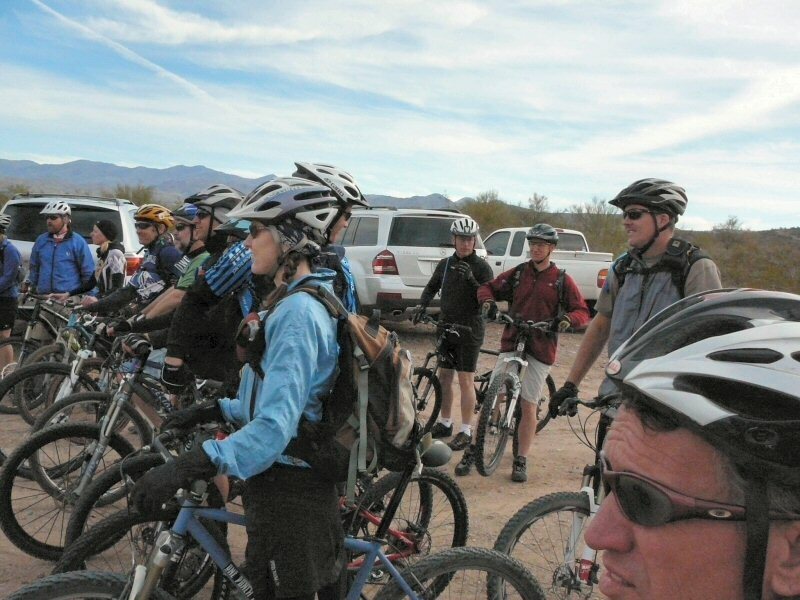 Mountain bikers are finding out that other groups are also attacking their trail privileges. Recently on a local level, equestrian groups have asked the Forest Service to close all Non-Motorized Use trails to mountain bikers as well. One of our contributing sponsors for the 12 Hours At Night mountain bike race is going to be The Singletrack Store. They are purveyors of the MagicShine 900 lumens light kit, that you will see many of the competitors at the 12 Hours At Night using to get them through the hours of darkness. The Singletrack Store will be providing our universal charging station as well as some Magicshine chargers. They will also have kits on hand to purchase. 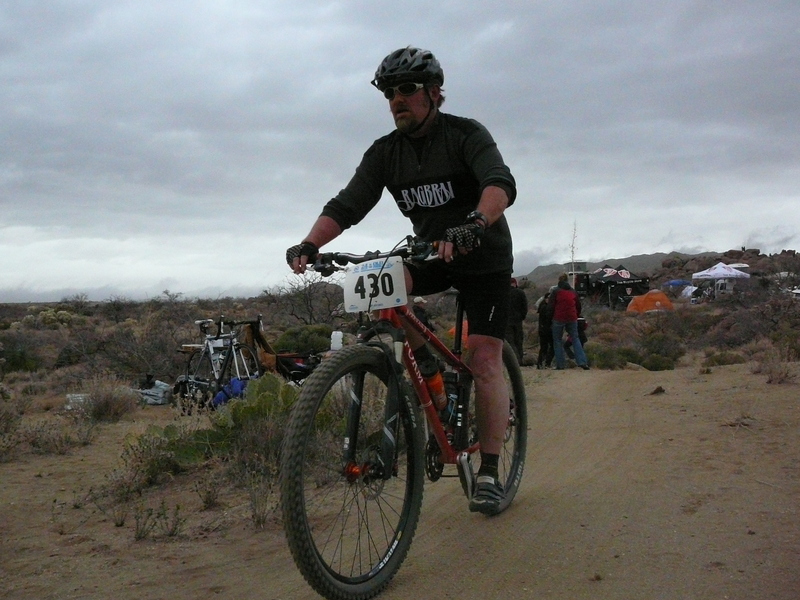 Posted by Dave Of Prescott in equipment, Just Stuff, Mountain Biking. I just had a Rock Shox Tora 302 Uturn installed on my bike. I can’t wait to get out and give it a good testing, but it looks like I will have to, as it snowed all day here. My original stock fork was starting to wallow out to where it felt like the headset was loose. The shocks still worked fine though. I ride a 2004 Specialized FSR xcPro that came stock with an Axel 100mm travel fork. 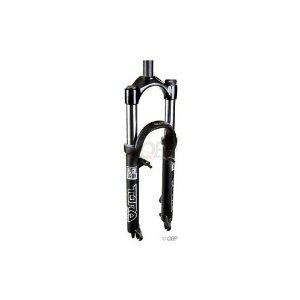 This Rock Shox Tora is adjustable from 85mm to 130mm, has a lock out, and rebound adjustment. It looks great on the bike, feels good just riding around my neighborhood, but I really want to get out there and give it a good test ride. After I have had it a while, I will post a review of it here. 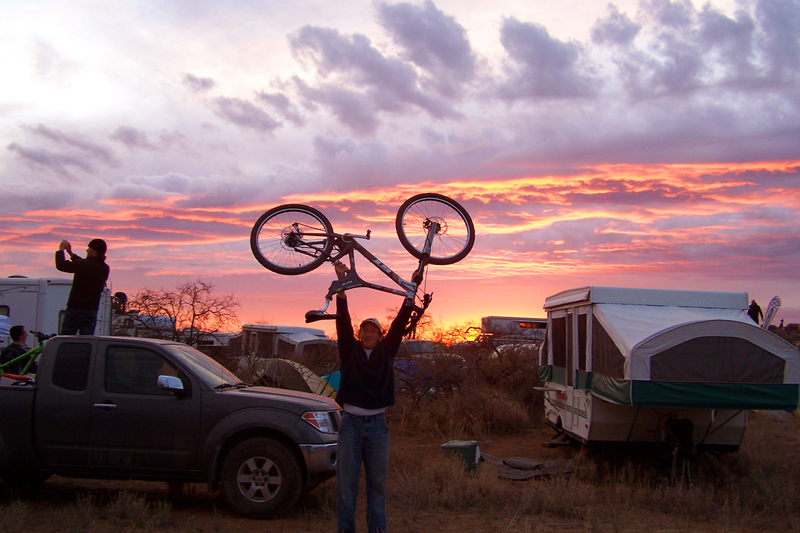 Posted by Dave Of Prescott in Adventure Recreation, extreme sports, Just Stuff, Mountain Biking, trails. Yesterday a group of us drove over to Cottonwood and into the Dead Horse Ranch State Park to ride a trail people call Thumper Loop. There are 120+ members of the Prescott Mountain Biking facebook group now, so when a group ride event is posted, someone always shows up! Yesterday was no different. Some of us carpooled, and others just met there at the park. When we got there, the Park Ranger who built the Thumper Trail met us and directed us up to a different trailhead. This caused some confusion, and we found out later that some of the group didn’t find us. All in all we had about 17 or 18 people show up to ride. The Thumper Loop Ride is really made up of 3 trails. The Lower Raptor Trail is a 2 mile climb out of the Verde River valley up onto the plateaus to the northeast. Then it connects to the Thumper Trail which is a raucous romp southward that has multiple small drops and one section of rowdy drops. Then we turned onto the Lime Kiln Trail and headed back down toward the Park. This trail has a few really fun drops and surprises in store as well, including some crazy exposures and one last big drop right before the road. We took a Park trail back up to the trail head where the loop began, regrouped, then did the whole loop again! Awesome! 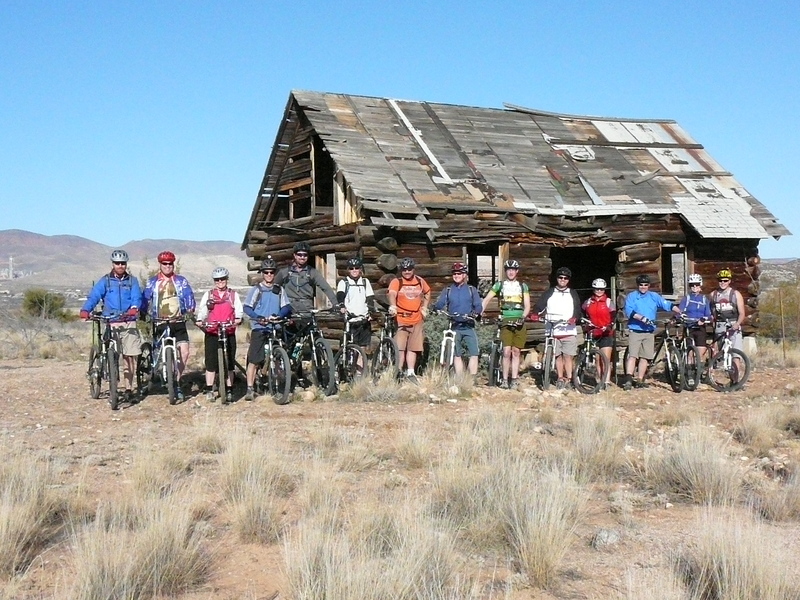 Posted by Dave Of Prescott in Adventure Recreation, extreme sports, Mountain Biking, trails. Here in Arizona we have a fellow named Chad Brown who is and Endurance Mountain Biker. I really like reading his blog because he does Bikepacking trips of epic proportion on a regular basis. His blog is fittingly called Bikepacking and Endurance Mountain Biking. Check it out. He has great commentary and superb photos of parts of Arizona that most people never see. Posted by Dave Of Prescott in Adventure Racing, Adventure Recreation, extreme sports, Mountain Biking. I just found an in depth guide to learning and honing your mountain biking skills. The Complete MTB guide – Julien Lallemand has created a very detailed and illustrated guide to mountain biking. All the content is on the California ARA site for new and experienced racers to use. This has something for everyone who either wants to be a mountain biker, or is already and wants to improve. Things are going to be way to muddy to ride for quite a while here. In the last 24 hours we have been dumped on with snow and rain totaling over 4″ of precipitation. The mountains have up to 2′ of snow on them, and it will be close to a month before it melts off in the shade of the pine trees. It looks like we will have to head to the desert to ride for a while. 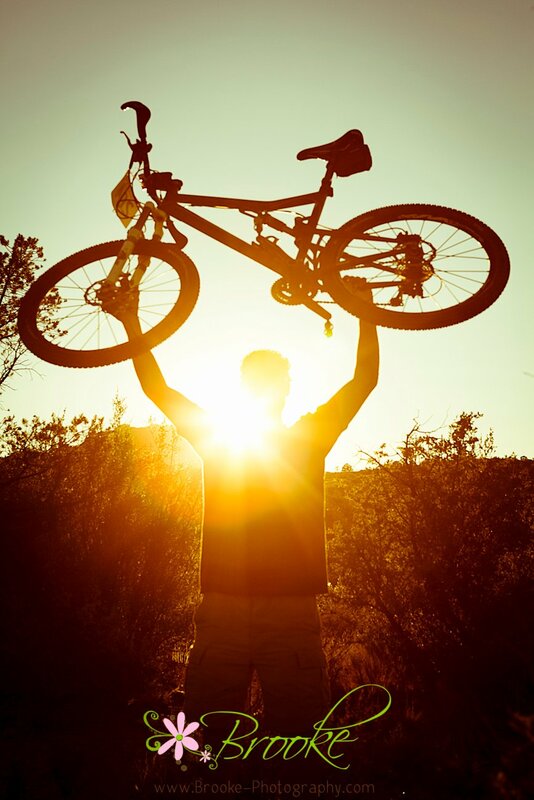 Posted by Dave Of Prescott in Events, extreme sports, Mountain Biking. 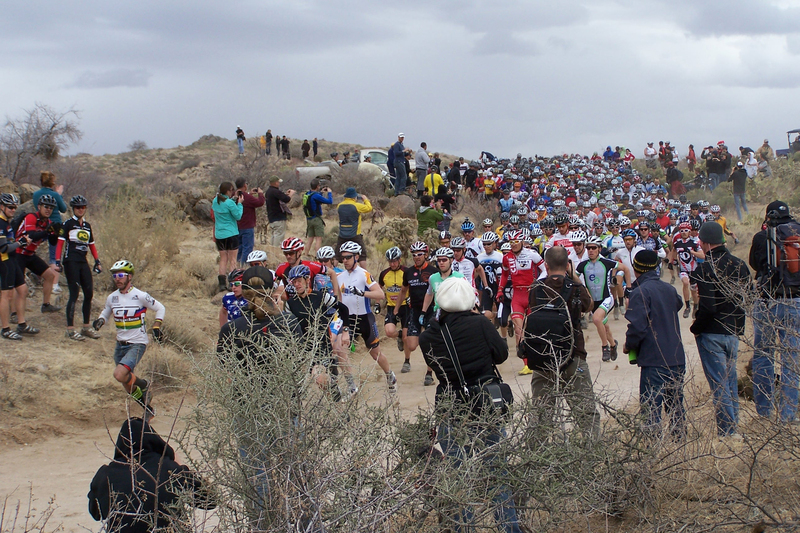 We have been given the approval for the 12 Hours at Night mountain bike ride and relay in 2010 in Prescott, AZ. It will be on July 17th into the 18th. Mark your calendar! We are still a long way out at this point, so we don’t have any registration prices or times set. Posted by Dave Of Prescott in Just Stuff, Mountain Biking. A few weeks ago I noticed that my seat post was bent. I know, I know….It could have broken at any moment and caused a crash or worse, I could have impaled myself on it! So today, I went to the local bike shop that carries Specialized, thinking I would just get a replacement for the stock seat post that had served me and my FSR-xc Pro so well these last 5 years. They didn’t have it, nor did they have ANY seat post of the right diameter! So much for thinking………. My next stop should have been my first stop as it turns out. I went to the LBS that is a sponsor of one of our events, the GORD. High Gear Bike Shop had the right size seat post in a Thompson Elite SP-E128SB. I went for a ride on it this afternoon, but cannot report anything other than it did not break or bend. I will however report back on it in about a year. 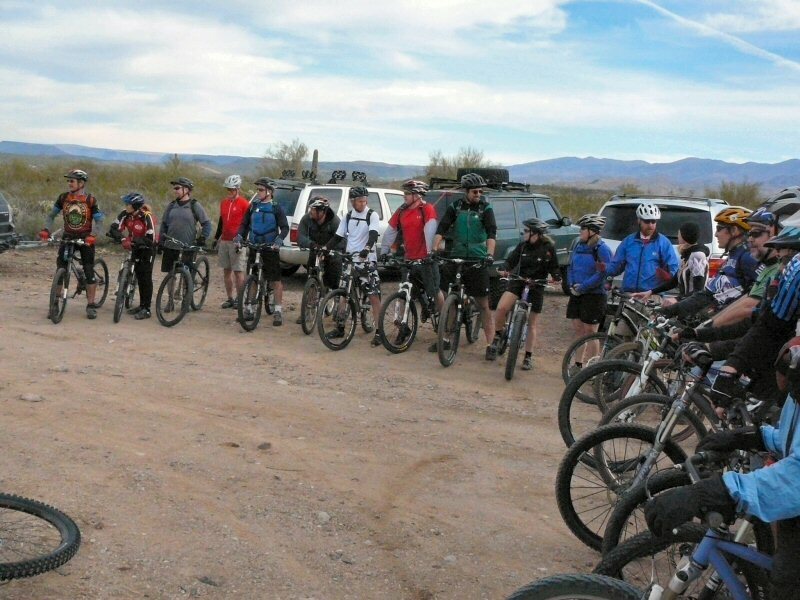 Posted by Dave Of Prescott in Adventure Recreation, Day Hiking, Mountain Biking, trails. We started out in The Pines, and then took 332 from the Fireplace up to where White Rock Trail crosses it. From here we headed east on White Rock and followed it past the junction with that knarly Fireplace Connector Trail and on down toward the Thumb Butte Park. When we hit the next intersection, we took a left as if we were going to go down the Longs Canyon Trail, but instead, took a left onto the brand new Trail 317 (no local name yet). This new trail is a real blast! It follows the contours and very slowly descends along the west side of Longs Canyon, then tops the ridge and takes a more westerly heading down into the Kingswood subdivision, where it comes out at the very top end of Windy Walk Lane. The trail is very well routed, and has a nice flow to it. Sure, right now it has all the choppiness that new trails have due to the cutting with McLeods, but soon with just a few weeks of use, it will be fantastic! It also offers up some wonderful views north of Granite Mountain and the San Francisco Peaks. Here is the link to the results for the inaugural 12 Hours At Night mountain bike relay and endurance event. One thing to take note of on the results sheet, is that Taylor Lideen was on a torrid pace when the stitches in the palm of his hand started to tear out, and he was forced to drop out after posting the fastest time for the first 5 laps. He is trying to heal up so he can race in a big endurance event is a couple of weeks. I really would have liked to see how many laps he could have put on the board. We hope to see Taylor back here next year to see what he can do. We also have some photos posted on our Shutterfly page, check them out! 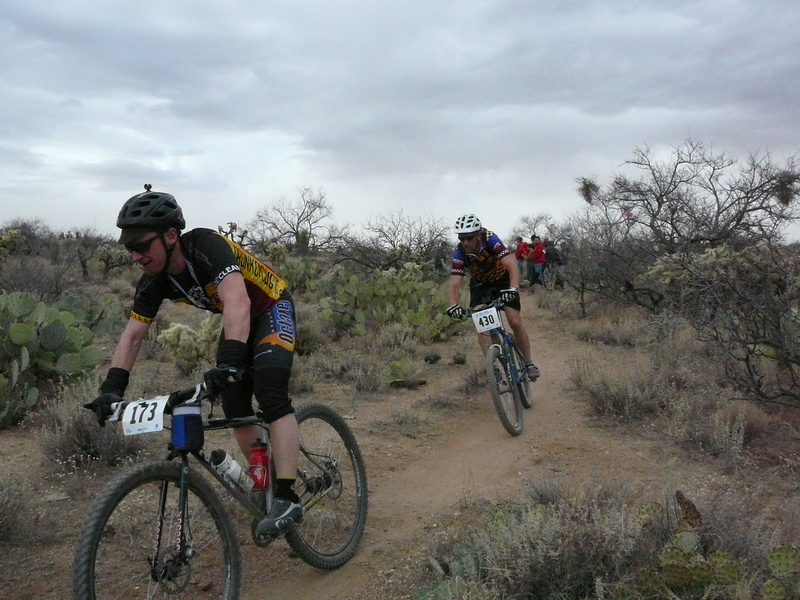 Posted by Dave Of Prescott in Adventure Recreation, Events, extreme sports, Just Stuff, Mountain Biking, trails. The 50 milers had gone off an hour before the 300 of us stacked up behind the starting line for the 25 Proof. There we were, facing into a strong headwind, ready to tackle the 28 miles and nearly 4000′ of climbing that lay ahead. I spent the first mile or so working my way through the huge group of riders, until there were probably only 50 or 60 ahead of me. On the way up Copper Basin Rd. there was probably an equal number of those I passed and those who passed me, all battling the headwind and the hill. When we got to the steeps toward the end of the pavement, I worked hard to get up them and passed about 10 or 15 while I only had a group of 5 single speeders and a couple of others go by me. 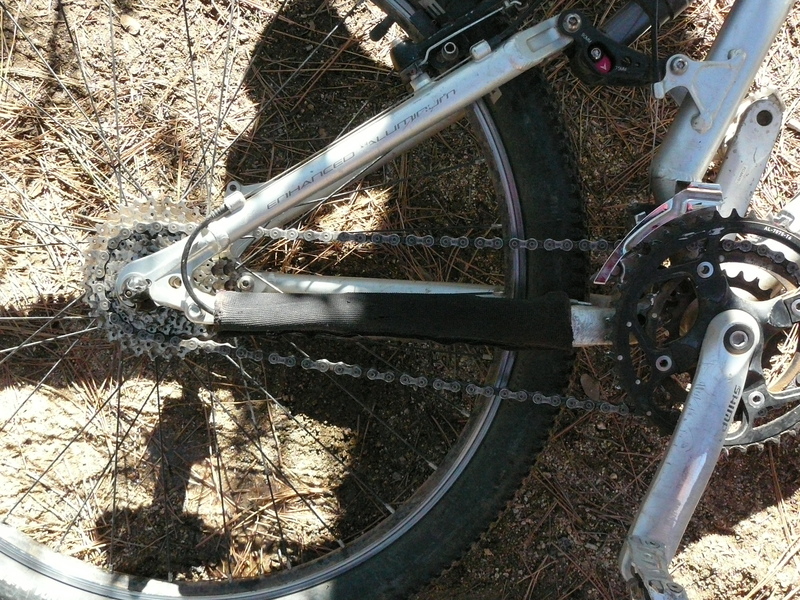 Once we were all actually on the 393, it worked itself out and we were all riding along at a good pace, until slannnng!..there went my chain onto bottom bracket again! Dang! Another 5 or 6 riders passed while I got my chain back on. At the Aspen Creek trailhead there was an awesome group of spectators and volunteers yelling and cheering us all onward and upward. I climbed the new section of trail 48 “Rob’s hill”, and I have to admit that though it adds half a mile to the length of the course, it is much nicer than doing the hike-a-bike from hell that we used to do. I had a couple of guys go past me on the wide track section at the top, and then caught up with some more riders at the first set of water bars. No point in trying to pass them, as they were riding about the same speed that I was, and there were 6 or 7 in the group. After the first section of downhill water bars (there are about 8 of the 1 or 2 ‘ drops in a row), I noticed we were spread out again, and that there was no one close behind me. The traverse across the backside of Mt. Francis was smooth sailing, but we bunched up again on the last climb. Many people walked the majority of this section, as passing one rider really accomplished nothing. As I pushed my bike to the top, I unclamped the seat post and lowered it for the upcoming descent. I passed 2 riders right away, and then came up on another and told him I would come by on the next available wider section. I started by and said, “On the left!”, but he moved to the left, and I had to swerve to avoid a collision, and went off trail into and through a bush, but managed to keep moving. We came to the first steep downhill and I stayed right behind him, not wanting another miscommunication mishap. On the last big drop at the bottom, he almost went over the bars, and I took that opportunity to go by him. At the bottom, I stopped long enough to raise my seat back up and take a shot of Hammer Gel, then started the climb up the bottom of the canyon toward Aid Station 1. Part way up, I once again threw a chain…arrgh! Other than the frustration of that, I was feeling pretty good, and kept an even pace until just about 400 yards short of the Aid Station. I got off and pushed up the nastiest and steepest part, then got back on and rode the last 200 yards. In my opinion, the toughest part of this entire ride is this next seemingly unending climb up to Thumb Butte Rd. Halfway up, I started to feel the beginnings of a cramp in my left quad, so I slowed down tried to spin it out…no go. So I got off and walked for a few minutes until it went away. Then back on the bike and up, up and up all the way to the Sierra Prieta overlook. Wow!, the group of spectators and volunteers here was fantastic, it was a great feeling to have just suffered through all that climbing, and have people there helping you celebrate and cheering you on. I turned onto the singletrack and headed for town. down it with their rear brakes locked up, just skidding down it…..so I just picked a line that allowed me to roll off the steep having just passed all 3 of them. On the 51, I was big ringing it…just flying past people. I went past one guy, just before that off camber turn to the left, and soon discovered that the pass had taken me outside of my intended line and that I was carrying too much speed to hold the corner….and there in my way was a big downed tree! I hammered on the brakes and laid the bike down, scraping up my knee, and breaking my bike computer, but probably saving a taco-ed wheel and an over-the-bars excursion. I hopped up and was on my way again, pushing hard in the big ring. Toward the end of the 51, I could feel cramps creeping back into not only both quads now, but my hamstrings as well. I have been drinking lots of water, and electrolytes….what the heck??? On the 321 singletrack, I had 2 riders pass me, and I passed 4 who were stopped at various points along the short exposed trail. Then came the dreaded climb up the 323. I call it “Hell’s Hollow”, because it is tough, and climbs up and out of a little meadow. It is less than half a mile, but it is loose rock on a steep climb in full sunshine, 20 miles into the ride…..the perfect recipe for big-time suffering. I rode part, walked part, cramping here and there along the way. Right after the hill, I got back on and started riding only to have both my legs absolutely lock up. Both legs had hamstring and quad cramps at the same time!! All I could do was sit at the side of the trail in agony, while a whole stream of passing riders kindly asked if I was okay. After 5 or 6 minutes, they subsided enough for me to try again. I managed to limp along at about 5 mph to the top of the 392 Garden Grove trail. This is one of my favorite sections of trail, so somehow I left my cramps behind and flew down the switchbacks, passing several riders who had slowed way down or stopped to negotiate the 4 hairpin corners. Out on the wider part the follows the canyon floor, I saw a guy 2 riders ahead of me go down hard, and his bike cartwheeled down the trail. The guy ahead of me stopped to help, and I asked him if he was okay when I got there. He said, “I think so,” so I continued on down. I caught up to some more riders and someone caught me from behind soon after we were on the section that parallels Thumb Butte Rd. There were a number of small bottlenecks at some of the more technical sections of this rocky trail, but nothing that was much of a delay at all. I popped out onto Thumb Butte Road, and shifted into the big ring again. Two riders came out behind me and one shouted, “Let’s go guys!” as they went by, I tried to jump onto their wheel, but my hamstrings said “Nuh-uh! !” and I soft pedaled as I watched them dissapear ahead of me. I finally got up to speed, and held a good pace down the hill, despite the fact that there now seemed to be a headwind in this direction too! How could that be?? . Near the bottom, where it takes a big sweeping left hand turn, I saw my granddaughter and her mom standing my the side of the road looking for me…I waved and yelled to them as Haley yelled, “Go Grampy! !” This gave me a boost, and I caught another rider just before the light at Gail Gardner. I sat in behind him for a few seconds, knowing that the race director had switched part of the course back to one last climb up Park Ave. instead of taking Summit like last year. After coasting behind for a little rest, I went around thinking I could pull for a minute, but he dropped off and I was alone as I turned onto Park. When I made the turn onto Glenwood, I shifted into my tallest gear and accelerated. I was going 30+ mph as I swung wide onto Goodwin, and kept grinding toward the finish line. I could hear the voices of people I know cheering as I entered the chute, and finally rolled across the line 3 hours and 31 minutes after the start. This year’s course was longer than those of previous years, so I couldn’t really compare times. That being said, I was still 19 minutes faster than last year, and came within 1 minute of my goal of 3:30. I finished 18th out of 61 finishers in my age division. It was a great day, and top it off, I didn’t even throw up afterward this year! It’s official, the 12 Hours At Night is now up and open for registration. This is a perfect time too. The Whiskey Off Road mountain bike race is this weekend, so hopefully plenty of you are finding this blog and reading it. This is a great way for all you desert dwellers to get up here in July and escape the 120° temps, and spend one cool night riding your bike. Ok gang, you heard it here first! Announcing the 12 Hours At Night mountain bike ride! This is next event that we here at GO Adventure Recreation are hosting. AND…we are doing it in association with Rick Eastman at SierraAdventureSports.com so it is going to rock! 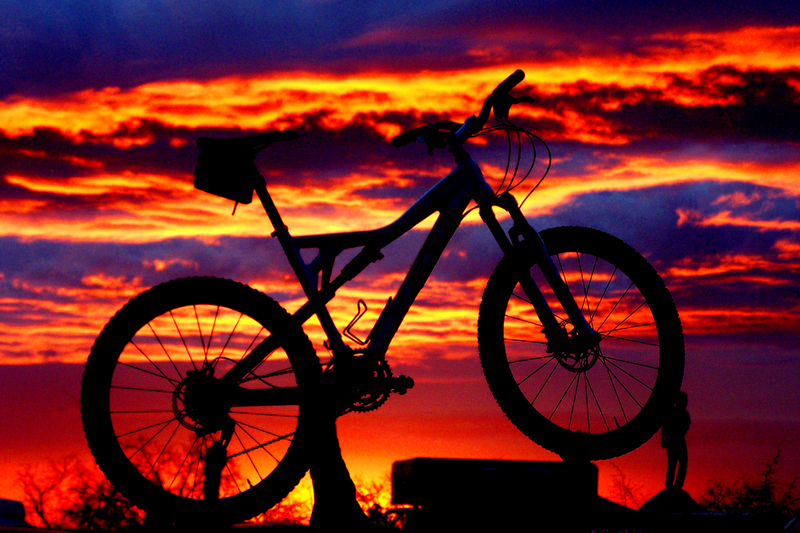 This is an ALL NIGHT mountain bike ride to be held here in Prescott in July. Yep, you heard me right…..Ride from 8pm to 8am! This will be for Solo, Duo and 3-Person Teams. I will announce the official opening of the event for entry VERY SOON! Wednesday evening, Kent and I rode from Thumb Butte up the road (5.7 miles of UP!) to the Skull Valley overlook, then followed the last part of the Whiskey Off Road course back down to the truck. The ride up was tough. My legs were already feeling a bit sore (could be a combination of so much riding lately and volleyball on Monday night), and on top of that, we were riding right into a very stiff and cold wind. We saw a group of 5 mule deer cross in front of us about 4 miles in. We made it to the overlook in 45 minutes, and then took the single track to the east. The single track still has lots of loose sand and big rocks in it. Maybe it had a tough winter, or horses have been on it or something, because it is rough. I kicked some rocks and branches out of the way on the way down in an effort to make it a little more friendly. When the single track opens up along a ridge into a two track, there is a big pine tree leaning over across the trail. It is not down on it yet, but it looks like it could come down at any time. This is on the trail I recently dubbed Turkey Track, because of wild turkeys roosting nearby. At the bottom of Turkey Track, the Rock Garden Trail starts. The upper part of this is a two track, and is currently pretty rough. Lots of loose and sharp rock that takes your front wheel wherever it wants too. There will be some bloodletting in this section on race day, I guarantee it! When you actually get to the Rock Garden, it has been cleaned up pretty nicely now. It is nowhere near as bad as it was even on Sunday. After the Rock Garden, the rest of the trails are in pretty nice shape. We saw another group of deer right next to the 321, they acted like they didn’t even care that we were there. Someone has even come in and cut the huge tree out of the way that was down on the bottom of the Garden Grove trail. There are still 4 wet crossings on that trail however. The Miller Creek trail was in good shape. That is, as good a shape as it probably can be, with all the unmovable rocks that are in the middle of the trail as it snakes along the creek toward Thumb Butte Park. 3 wet crossings here. What started out as a group pre-ride of the Whiskey Off Road, ended as a solo trip through the beautiful pines. Patrick and Jennifer were going to pre-ride the Whiskey 15 on Sunday, and asked if I would come along to show them the course. Dore’ , Steve and Rob where also along for the ride. We started in downtown Prescott just like the race does, and headed through town and up Copper Basin Road. By the time we got to the steeps on Copper Basin, Rob, Dore’ and Steve were long gone. I hung back with Jennifer and Patrick. When we hit the end of the pavement, we saw Toby and Katrina getting out of their cars and preparing to ride too. About halfway up the switchbacks just outside of Camp Perlstein, Jennifer had had enough. She was feeling sick, so she and Patrick decided to go back. Toby and Katrina had just gone by us, and now along came Steve and Michelle. I followed Michelle up the trail, and went by her on the way up and caught up with Steve in the saddle. I bombed down to Copper Basin just in time to see all the others that were ahead up on the new section of trail that Rob had designed and built. That means they had decided to ride the 25 instead of the 15. I headed back up the trail and cleaned it up as I went, and then when I got out to Copper Basin Road, turned west and made the climb up to the Skull Valley overlook. I rarely ride by myself, because I just don’t think it is a smart thing to do, but this was actually very peaceful and I was enjoying the solitude. I stopped at the overlook long enough to start to get cold in the wind, and then headed up the single track that was the back half of the 15. I had the Whiskey all to myself. Side note: The Whiskey 15 is really 19 miles long, and the 25 is really 27+, and the 50 is only 44 miles long!! I tried to just take it easy on the way down because there are some pretty hairy sections, and in fact I almost ate it just before the turn onto the Rock Garden Trail. It is rutted and filled with loose rock, and my front wheel had a mind of its own! When i got to the pavement at Thumb Butte Park, I pushed pretty hard through town and back to the courthouse square. It took me 50 minutes from the overlook to the square, so in order to meet my goal of 3:30 or faster for the 25, I will have to be at the overlook in no longer than 2:40. That could be a tough number for me, given my previous problems with the climb out from Copper Creek. I never did see any of the others that I had started out with…..in fact, I didn’t see any other mountain bikers at all after I left Toby on Trail 48. Overall, it was a good afternoon on the bike. I covered 22.6 miles and did a lot of climbing. Well, not THAT kind! But still pretty good! Tracie and I took an afternoon mountain bike ride today out at Brownlow Trails. There are lots of neat little single tracks snaking among hills. We rode about 5.5 miles and then went to pick up our youngest granddaughter from school. On Wednesday evening after work, Jack, Kent Toby and I rode the long grind (5.7 miles) up Thumb Butte Rd. to the overlook. My legs were still sore from the Adventure Race on Saturday, but I didn’t know it until I started to climb….ow! We got to the Skull Valley overlook just in time to enjoy an awesome sunset. From there we rode the descent that the Wiskey Off Road mtb race takes. The trail 368 single track heads west up the hill from the overlook, then goes NE. There was a dead tree down across it right at the one pretty wicked drop that is on it, so now the trail goes around and avoids the drop. This trail is pretty chewed up and in worse condition than I remember from last year’s race. There was another tree down across it just before it becomes a wider track, and Toby and I managed to pull the tree aside while we waited for Jack. Just before turn onto the 9401J (Rock Garden Trail), there is a pretty knarly section of downhill ruts and loose rock and gravel. I followed Toby’s line down, and we stopped just past the bottom to wait for Kent and Jack. We could hear Kent giving some direction to Jack near the top, and then we saw Kent coming down it. Right at the bottom, there is a deep sandy area, and when Kent hit it, he must have been just a little on his front brake, because his front tire slid out to the left, and he couldn’t stay on top of it. He fell off to the right, landing on his right upper chest and his head and rolling over once from there. His bike cartwheeled over the top of him, and he ended up in a sitting position beneath a cloud of dust. We went back to make sure he was okay, and saw that his helmet had done it’s job incredibly well. He had left a furrow in the ground about a foot wide and 2 feet long that had been dug with his front right side of his helmet! His face was dirty, and his eyes were full of dust, but he was okay. We continued down the Rock Garden Trail (which is named after the last pitch on it), fast and furious. This part of the trail is a two-track that goes down a ridge, and is filled with lots of loose and sharp rock the size of golf balls and racquetballs. We stopped at the top of the aforementioned Rock Garden to tell Jack about it a little bit, and for Kent to re0tell the story of “the fat guy” who literally flew past him in the race on this section a couple of years ago. The Rock Garden was a mess! It has been chewed to pieces by ATVs or Jeeps or something…..There is no real line down it now, it is just filled with babyheads and boulders with a few truckloads of loose, sharp rock thrown in. It is steep and full of obsticles that try to stop your front wheel. Jack found this out, as at one point he was actually riding a nose wheelie, but somehow saved it. The next turn is onto the 51 and you can usually just bomb it, but we were a little more tentative this time because we weren’t sure what we would find. Sure enough, coming around an off camber corner, suddenly there was a giant pine tree down and sticking halfway into the track! The 51 is also in worse shape than I recall. At the bottom of the 51 we realized we were running out of daylight, so we circumvented part of the Whiskey route to save time. We rejoined the Whiskey route at the top of the Garden Grove Trail (392). This section of the trail was in really good shape and was fast and a ton of fun. There was water in the creek, so we got a little wet at the several crossings. At one of the crossings, there is a huge dead tree blocking the trail completely. We popped out onto Thumb Butte Road instead of taking the Miller Creek Trail (362) because it was getting very dark. We cruise back down to the cars, and left in total darkness. It was a great ride, and one that we will be doing many times before the Whiskey to get used to the trail, and to condition for the climbing. After looking through the results and splits of the GORD, I realized that I HAD to go back out there and ride the bike course again. In the race there were 6 guys that had bike splits under 40 minutes, and one girl with a time of 40:05 (which means that she really rode it in under 40 also). I had made the mistake of thinking that no one would ride it in less than 40, and was pretty proud that I had done it in 44:51………dork! Now, in order to try and not appear quite so dorky, I asked Kent to come out and ride it with me. His time in the race was 42:58, so I knew that he could ride it faster without running first. My goal was to break 40 minutes this time. I started out fast, and by the end of the first single track section was about 60 meters ahead of Kent, it stayed that way to about the 1.5 mile mark, and then Kent went by me as was feeling the effects of the jack rabbit start. At the next single track section I made up some ground, and at the bottom of the first big climb was about 50 meters behind. I suffered up that climb, then bombed the downhill, somehow managing to keep the rubber side down on those sharp curves. I hammered up the first half of the big climb, then spun up the rest of it and caught a glimpse of Kent heading into the tunnel. Looking down at my clock, I made a note of the time and then checked it again as I got to the tunnel….I was 30 seconds behind him. My legs were hurting, so I soft pedaled through the tunnel and pushed just a little up the next little incline. As it topped out, I shifted into my big ring and really pushed through the next section of flats. Coming over the next little rise, I saw Kent ahead again. Another time check, still a 30 second difference. I felt pretty good as I made the hard left onto the Legacy Trail single track. After crossing the creek bottom, I saw Kent up on the switch backs, it looked like he was moving pretty good, so I pushed hard up through the tight and steep S-turns and found I had made up 5 seconds. My legs were screaming at me as I rode over the washboards after going through the second tunnel, but I knew there was less than a mile to go, so I pushed hard on the last bit of single track on the course. When I came around the corner and headed toward the wide track, I saw Kent on his way down it….darn, back to a 30 second deficit! Kent had been counting off seconds since he got there and had counted to 25, so that meant he rode it in right at 39 flat!